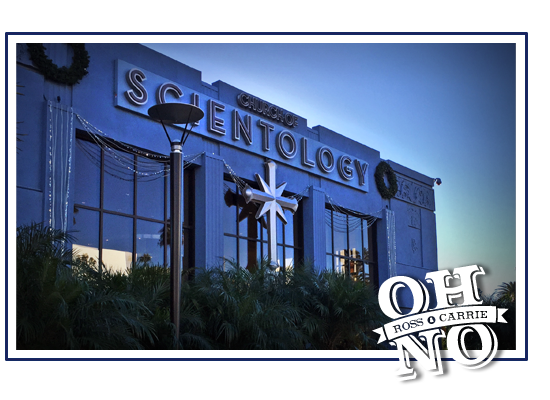 One of my favorite podcasts is Oh No Ross and Carrie, in which two investigative journalists join cults and fringe religions, and try out new age remedies and practices, and report back on the experience. In the show's five-year run, they've been baptized Mormon and Raelian (! ), had their colons irrigated and their bodies sound-bathed and undertaken many other experiences. But since the first show, their fans have begged them to investigate Scientology, an organization with a reputation for paranoia and vicious retaliation against its critics -- not to mention high-priced initiation "classes."